iTunes is having an absolutely bonkers sale right now on its movie selection: you can buy every single one of the eight films in the Harry Potter series for just $9.99. The regular price is over $125. 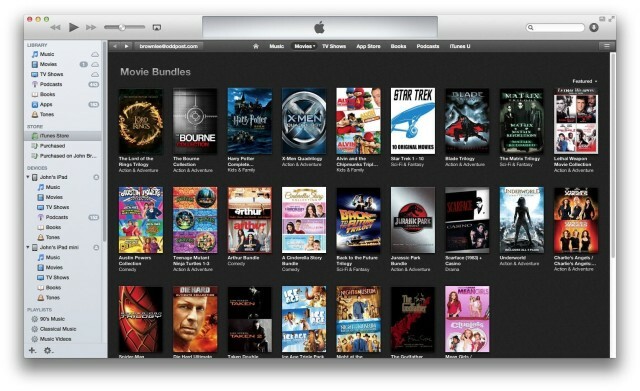 And that’s just where the deals get started: chances are, if you’ve got a favorite film series, iTunes is selling it in a bundle right now, at a crazy low price. • The Godfather Trilogy – $24.99. Believe it or not, that’s not all. There are a lot more bundles where those came from. It’s uncharacteristic of Apple to throw this kind of sale, so get hopping: although digital goods have a supply that extends towards infinity, this won’t last forever. Wow thats awesome! Do you know when the sale ends?